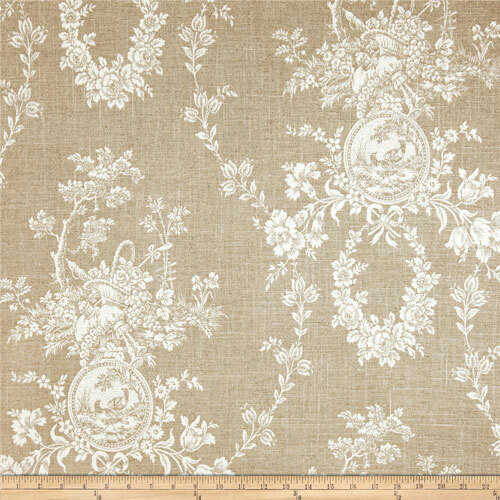 Waverly Country House toile fabric in the linen colorway. Camel brown and ivory cameo toile print. Suitable for drapery, decorative pillow covers, headboards or light upholstery. The fabric is absolutely beautiful, delivery so very fast. Thanks.